Tura AG was a German distributor and manufacturer of film and paper products. The factory was established as Bergmann & Co. in 1901. Located in the western part of Germany in the town of Düren. It was renamed Turaphot after the second world war. They are mostly known for being a private label manufacturer. They would often repackage photo products from leading companies like Ilford and Agfa. They would work with small and large companies to make their house film and paper, with custom packaging and labeling. In 1999, CPAC Inc, of Leicester, New York joins in a partnership that allows photographic chemicals to be distributed under the Tura name. 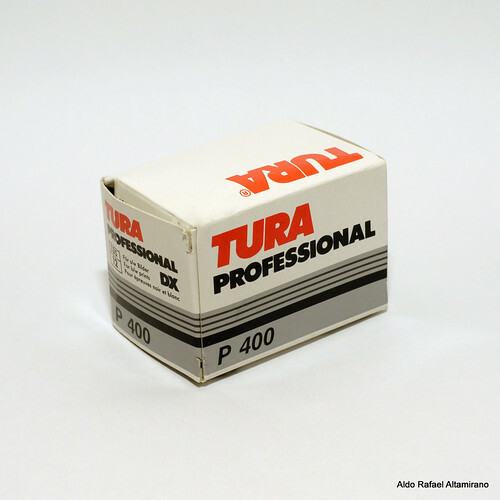 In 2004-2005, Tura's main film and paper suppliers AgfaPhoto and Ilford both went bankrupt. During the reorganizations of both companies, Tura was unable to obtain the necessary credit to acquire materials, leading to problems fulfilling orders. During this period Agfa started expanding their own private label business and Ilford now under Harman Technology stopped their private label programme, not allowing others to used their products. Photo Star currently (2012) has the rights to the Tura brand. This page was last edited on 8 May 2018, at 04:46.